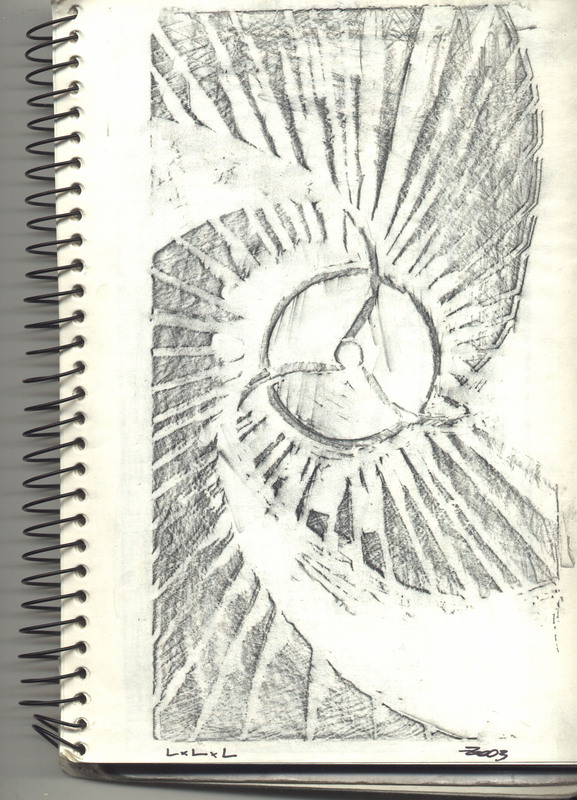 This is a scanned pencil transfer of a engraving I did on ply-wood, 2003. This LxLxL theme was pretty recurrent by the time. It is sort of a mantra sigilyzed into this "helix"like image that used to haul over dreams i had... sort of a synthesis of hopes and etc etc. This way of transfering carved wood textures to my sketchbooks was something i did a lot by the time and i recently found lots of it in old hds... it feels almost like travelling in time.